Editing. 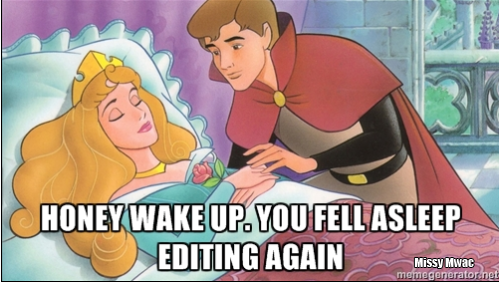 Even though I write romance novels, you totally knew I was going to say editing. I spent half of September, and all of October, November, and December editing. Not just normal editing, but the process of turning first drafts into second. It’s been productive as I have turned three different first draft romance novels into second drafts, which tends to be the hardest revision for me. Some authors a pretty awesome first draft. That would not be me. I also did a late draft edit on Knight of Valor. This took about ten days because I’ve been polishing it for a while now. You can always check out my WIP page if you want to see what I’m working on. One of my goals for 2017 is to actually press the publish button on Crowned Prince. Working on finding a good romance cover artist with space for a first-time author now, and I want to do one last edit of it as well. I also need to learn how to format an e-book and use Createspace to make a paperback of it. I know lots of people think you plunk down your first draft, then you work through a revision or two as you fine-tune spelling and punctuation. While that might have worked for my college term papers, I can’t think of a single college term paper I’d have spent precious free-time reading. I have to confess, I am a bit tired of revising. While I am working through three different stories, I may need to take a break and write yet another first draft I will have to revise later. Still, it’s nice to have a pipeline of stuff to work on, even if it’s not always as exciting as writing new stuff. They say writing is rewriting, and I have found it to be true. Have you found that to be true? Any tricks you use in your rewriting or editing process? Editing, Ugh. Usually I’m confident about the structure of what I call my first draft. That is the story that continues from A to B with a minimum of plot holes. I write tight, (always have) and I follow a draft path that hits the beats consistently. No. It’s the grooming of words that takes my time, making the ugly duckling words pretty. Recently I invested in Master Writer, which is convenient and faster to use than a conventional thesaurus and use a free online page called Analyze My Writing which shows me the lexical density of the piece which I’ll groom chapter by chapter. Boiled down, lexical density is getting enough nouns and adjectives in the text, and paring away enough verbs and prepositions and pronouns to make the text something the human brain likes to read. Pretty cool stuff. Some writers, however, seem not to need this kind of help, and I’m envious of them. I’ll use Pro-Writing Aid (for which I bought a lifetime license–they offer these once a year around Christmas) to spot passive verbs, vague words, readibility, repeat sentence starts and the like, and then a final polish in Grammarly for the grammar. I need all this help because a.) the nuns did a bad job of teaching me how to write, and b.) I ghostwrite for other authors and have to have professional piece to present to them. I am interested in what you edit and how you do it. Editing is a necessary part of the process, but I can’t stress enough how much I hate it. 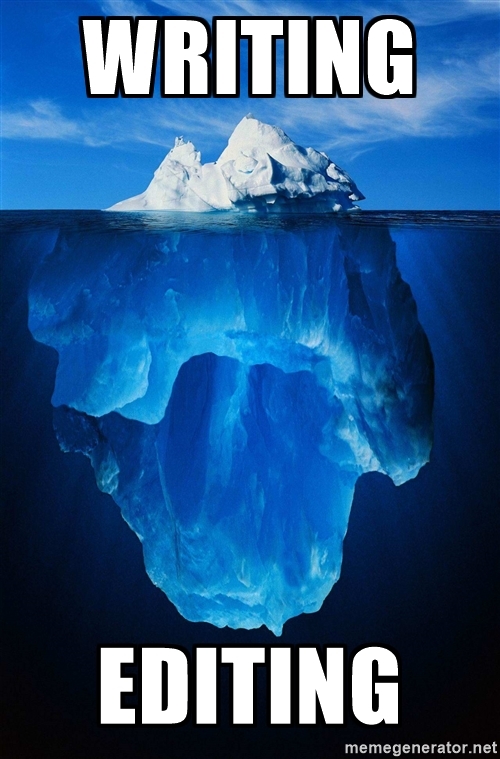 Building a process that forces me to edit for specific reasons keeps me focus and ensures I look at what I have to. Otherwise, I’d never publish. What’s your process? Any tips or tricks to make things easier? I actually wrote a blog on that. My process is laid out there. Basically, discovery, first, alpha, developmental, beta, style, proof. I do remember reading it after looking at it again. At the time I felt like it was so neat and streamlined whereas I had a circular mess. I am starting to figure it out. I think everyone has a different process. The trick is finding what works for you. I’m not afraid to throw everything away and start over. That’s what I had to do with my dissertation. It just wasn’t working. In 6 months, I had written several hundred pages of trash. My advisor took a look at it and said it had potential, but I could do better. So, I spent one month re-reading all of my sources and two more months rewriting from scratch. It was sooo much better and my advisor said it was like night and day because literally, the revised version looked nothing like the first. So, I often write a crappy draft to get it out of my system and then I go back and write “for real,” which, as you can imagine, is not very efficient, but I’m usually happy with the results. That had to be really hard, but it sounds like your dissertation was so much better for it!